The company sells tapes for €3.49 each, producing them by the thousands each month and exporting 95 per cent worldwide, according to commercial director Theo Gardin. The 27-year-old admits he didn't know in his youth the joys - and pains - of the Walkman personal tape player, or the delicate strip of tape that tangles up and must be rewound with, say, a pen. Or a finger. 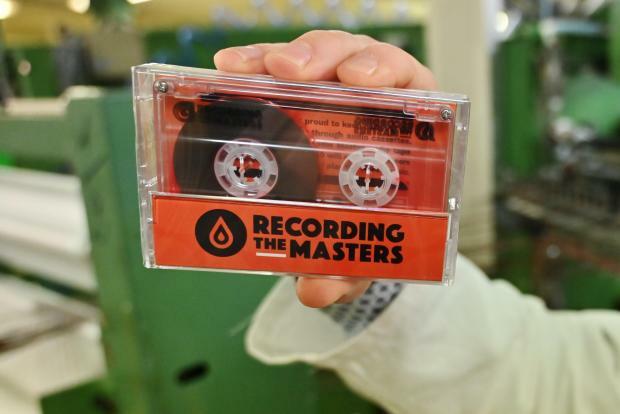 Cassette tape album sales in the US grew by 23 per cent in 2018, according to tracker Nielsen Music, jumping from 178,000 copies the year prior to 219,000. Last year vinyl saw revenues hit their highest level since 1988, totaling $419 million - an 8 per cent jump from the previous year.